Research Paper Questions are the first step in developing a hypothesis or a thesis statement for writing a research paper. The main idea or the purpose of a research is to find an answer or a solution to a question. The question that sparks the interest to start a research project is the research question. There are two different types of research papers. Research papers are written for presenting the results of an experiment or a survey. The research paper question leads to a hypothesis and the research aims to prove or find evidence supporting it. For research based on reviewing sources like books, journals and other documents, the research questions give rise to thesis statements. Research paper ideas and research paper questionsare closely related to each other. Faced with writing a research paper, students have to find good topics for their research. But a research problem or a question connected to the topic should be identified. Some serious brainstorming is needed till the student can settle for a good research paper topic that can present a worthwhile research problem. Many research paper ideas have to be studied in this process. Brainstorming includes both divergent and convergent thinking processes. First stage is collecting as many relevant ideas as possible. Selecting the best idea needs convergent thinking. Only good research paper questionscan yield a good thesis or hypothesis that can produce a good research paper. Check the following characteristics when selecting a good research idea and a research question. •	Is the research question important in the particular discipline? •	Can the research into the question fill a gap in the knowledge or add new knowledge? •	Were you able to collect lot of information on the topic, in your preliminary research? •	Is the idea new or an old idea? •	Is it a duplication of previous research by somebody else? In building a hypothesis that is to be the focus of the research student shall have his/her own idea to be tested in the research. This idea may have been formed from experience, practice or from reviewing the available knowledge on the topic. Stating this idea as a statement that can be tested in the research is the process of building a hypothesis. Similarly, formulating a thesis and writing a thesis statement has to be done based on the literature review done in the preliminary research. Students can get help from a good research paper service in formulating a thesis or building a hypothesis for their research paper assignments. Most of the students that get low grades consistently can improve their grades and pass their exams and complete the programs easily if they get help in their essay and research paper assignments. They can always get essay help from a good essay writing service to get superior grades and pass their programs. 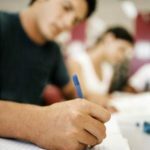 Best option for essay assignments is to buy essay from reputed essay writing service.